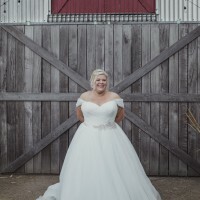 Beautiful princess wedding dress! The colour is listed as icy blue but it's super subtle. 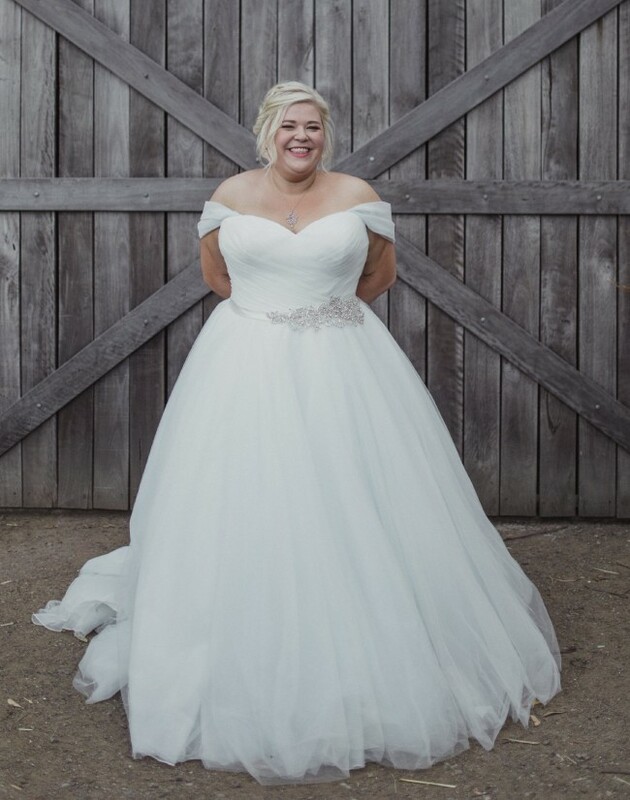 Worn only once for my wedding last year and would love someone else to get as much joy out of this dress as I did. The tag is a size 30 but I would suggest those around a street size 20-24 would be best suited to wear it or smaller if you want to have it taken in. Happy for serious purchasers to try on the dress on the Central Coast NSW or in the North or East of Sydney. Can also ship around Australia and overseas if purchaser is happy to cover the cost of shipping, I will ensure the most efficient shipping method is found. I had the bust and waist taken in. I also had the off the shoulder sleeves added.